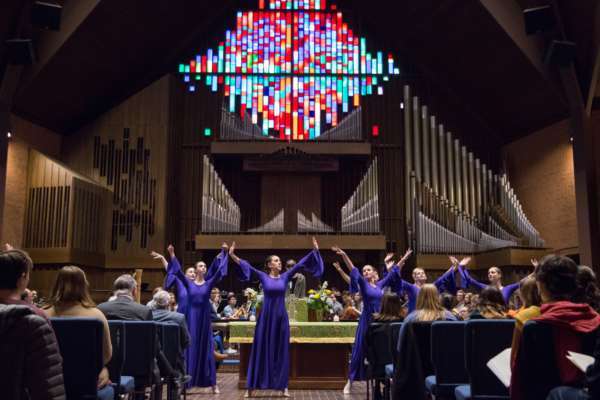 Oklahoma City University celebrated the 50th anniversary of Bishop W. Angie Smith Chapel at a special re-consecration worship service on Thursday. 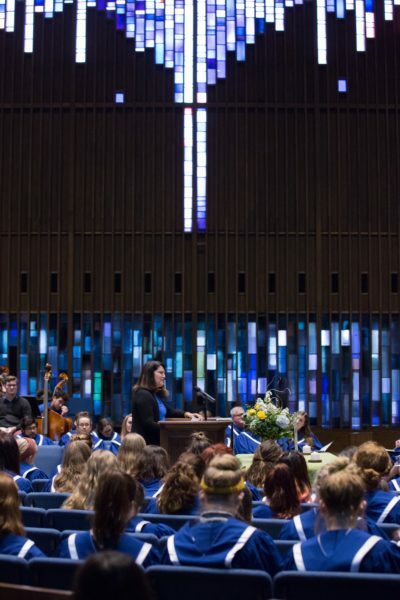 Dr. Amy Oden, Saint Paul School of Theology professor of early church history and spirituality and cousin of Bishop Bill Oden, brought the message. 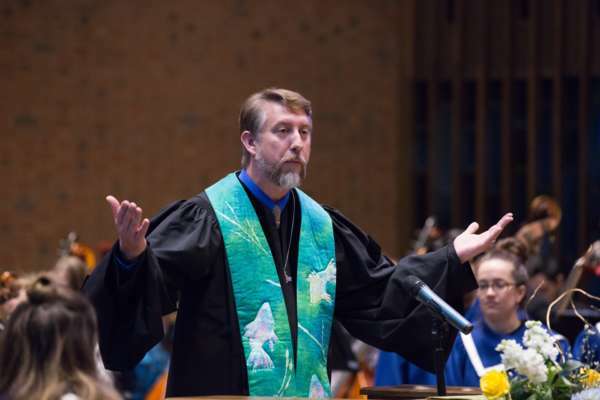 Bill Oden was the first guest speaker in the chapel in 1968. 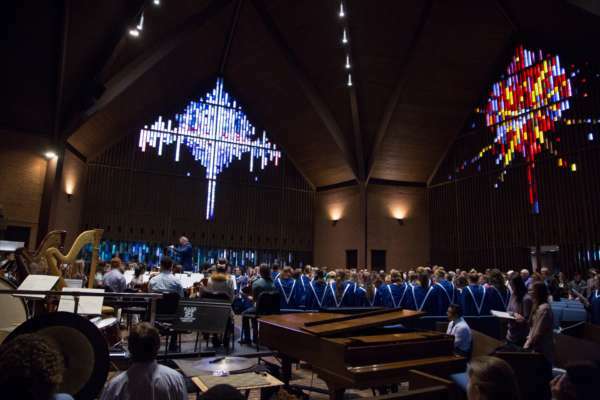 The service also featured the Ad Astra Choir, the Spirit of Grace Liturgical Dancers and the OCU Symphony Orchestra. The service was followed by a reception.